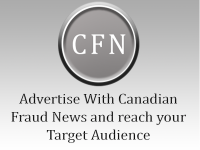 Nov. 14, 2018 (Courtesy of CBC.ca) – A 68-year-old Edmonton woman has been charged with fraud and theft in relation to a seven-year payroll fraud worth $1.4 million. The woman is thought to have falsified paycheques for more than 500 former employees of an Edmonton transport company where she worked as a payroll administrator. Between 2007 and 2014, the woman changed the ex-employees banking information and had the falsified paycheques deposited into one of five bank accounts registered in her name, police said Tuesday. Through those transactions, the woman transferred $1,117,241 from the company into her accounts. The company also lost another $322,332 paid to the federal government in taxes and other payroll deductions. The scheme was uncovered in 2014 when staffing reports revealed that an employee who no longer worked for the company had received payment. Following a lengthy investigation, the woman was arrested last Thursday and charged with one count each of fraud over $5,000 and theft over $5,000. The woman was employed with the company from 2002 to 2014.